Jade Messam-Goodenough, 27, has been a resident at YMCA South Ealing for five months. She faced homelessness after she lost her job and was unable to pay her rent. “I became homeless because I had no work and no money coming in but the biggest issue was my mental health,” says Jade. Jade went through her teenage years and early twenties without diagnosis but was suffering from severe psychosis, anxiety and depression. It was only when she was arrested that she had a formal diagnosis, but it was one which she refused to accept. “I was arrested and sectioned but I didn’t understand what was going on. I didn’t accept the diagnosis; it was a struggle to come to terms with it. I suffered for about three more years with my mental health before I went to hospital and was assessed,” says Jade. 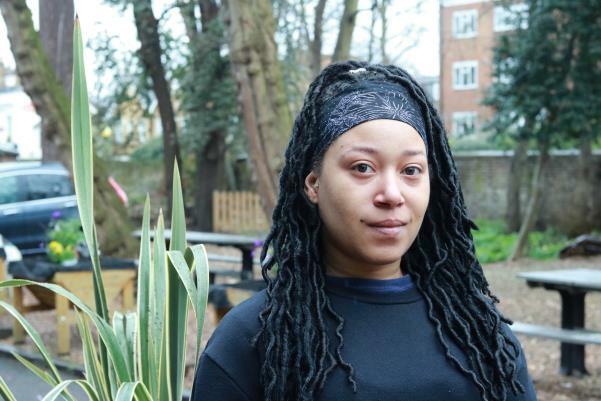 Jade has support from staff at YMCA South Ealing to ensure she is taking her medication, engaging with mental health services and looking after herself with good self-care. Jade’s family relationships are very important to her and that support network is what she credits for getting her through the most difficult periods of her life. “When my illness took hold, it affected the most precious things to me like my family relationships and friendships. I find it hard to be normal and relaxed: even the little things people take for granted like going to the shops and watching TV are sometimes hard,” she says. It’s not always easy for Jade to engage with mental health services to access the support she needs, and she explains that it is often a case of driving yourself forward to get help. Jade is candid about her psychosis, and the delusions and hallucinations that she has experienced in the past, before she could manage her condition with medication.